Sodalite is a blue gemstone almost invariably veined with white streaks or markings. Its ideal color is an intense blue, and it comes in all shades of blue from light blue to deep royal-blue, and from grayish-blue to violet. Often different shades of blue will be present in a single gemstone. 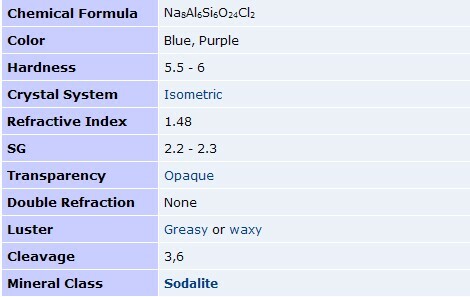 Sodalite is an opaque gemstone, though it is slightly translucent on thin edges.